BlueDomino Review 2019: Is BlueDomino a Good Hosting? Based in the U.S., BlueDomino offers standard shared Linux web hosting with unlimited storage space and bandwidth. 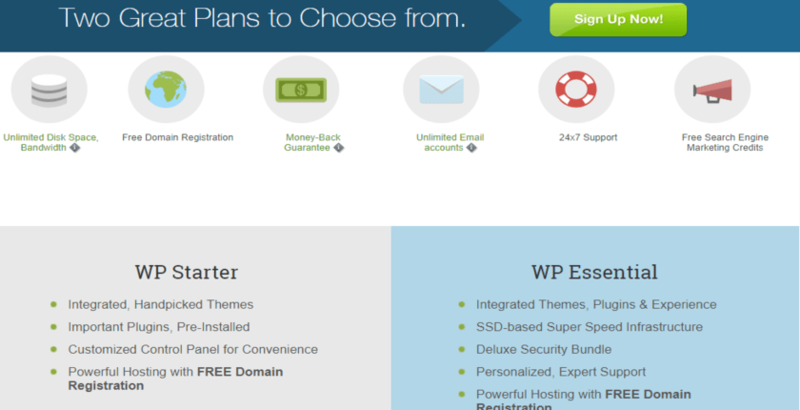 They also offer WordPress optimized plans with one of them running on SSD. In business since 1996, this web hosting provider shows experience in not just providing hosting, but also tools to accelerate personal, business, and e-commerce specific brands respectively. Founded in 1996, BlueDomino offers shared hosting with a commitment to providing outstanding support, uptime, and innovative technologies both to beginners and old webmasters. Although they faced a few issues with their servers years ago, most of them were eliminated when Endurance International Group (EIG) acquired them in 2010. They operate Linux servers in two data centers in Boston, Massachusetts. Through these servers, they provide hosting packages that allow individuals and businesses to utilize as much as they want as they grow. Although they provide daily/hourly incremental server backups for 14 days, you’ll have to contact them if you want to roll back your website. That might be an issue for you because their backups are for disaster management and you cannot entirely rely on them. Alternatively, you can purchase their automatic backup and restore tool to complete backup of files and databases and revert to a prior version in the save history. One plus they provide is ShopSite Starter. It comes with the hosting plan, and is relevant to e-commerce businesses. With that, you can set up your online store, configure shipping options, and accept payments. The only downside to it is that you can only sell 15 products on your ShopSite Starter website. If you want to sell more than that, you can use their one-click application library to get the software that you prefer for your store or take the WordPress optimized hosting. Unlike the basic shared hosting, the WordPress top plan is on SSD-based infrastructure, which ensures better website speed. In addition, you get SiteLock to defend against malware, hacks, and automated attacks with a firewall and vulnerability scans. BlueDomino’s price list is reasonable. They allow monthly, quarterly, one-year, two-year, and three-year payment plans. A closer look shows that you’ll receive more benefits when you go for the one-year plan or higher. Not only are the prices lower, but their setup fee is also completely waived, and you get a free domain. Note, however, that BlueDomino offers promotional prices for the first hosting payment. When you renew, the price jumps back up to their standard rate, and depending on the period you chose previously, you may end up paying more than a 100% increase. The standard prices are not so high, given that you enjoy unlimited bandwidth and storage space. Another benefit is the 30-day money-back guarantee that they provide. Their 24/7 support is accessible via live chat, phone, and online form submission. If you’re more DIY inclined, they have a comprehensive knowledge base where you’ll get answers and tutorials on managing your account, programming, website, domain and database, and more. BlueDomino is an average hosting provider; they don’t provide many advanced tools in their standard web hosting packages. Nevertheless, they remain a good choice if you’re looking for simple hosting with unlimited space and data transfer. They also offer support for individuals and corporations with specialized tools for their needs. Contact BlueDomino for Top-notch Shared hosting! 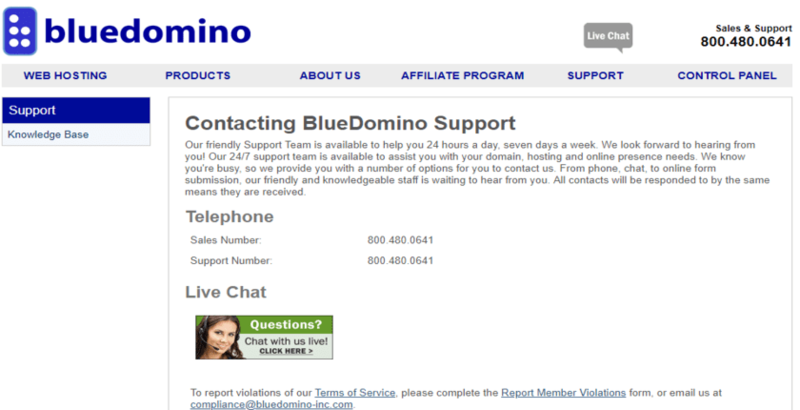 Wondering how BlueDomino stacks up against other Web Hosting companies? Enter any other Web Hosting company and we will give you a side-by-side comparison.